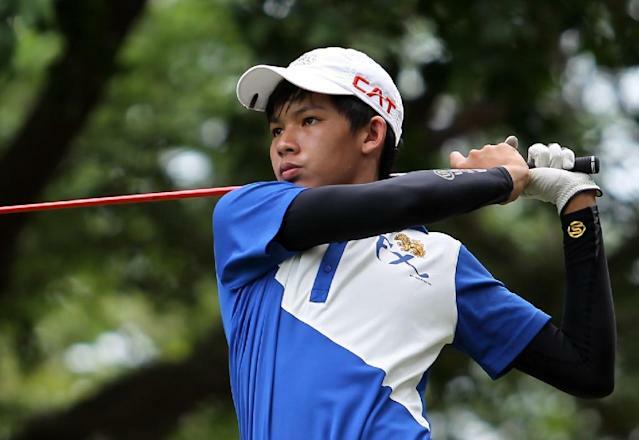 Chon Buri (Thailand) (AFP) - Teenage Thai sensation Phachara Khongwatmai was pinching himself on Monday after sensationally qualifying for next year's British Open with a stunning final round at the Thailand Golf Championship. "I'm now overwhelmed with happiness as I get to play in The Open next year," said the 16-year-old, who shot a final day six-under 66 on Sunday to finish ahead of double Major champions Bubba Watson and Martin Kaymer and grab the fourth and final place up for grabs in the world's oldest major. Phachara's total of 13-under-par 275 gave him sole possession of sixth spot, one shot ahead of Kaymer and fully five better than Watson. It was a completely unexpected bonus for Phachara, who only secured his place in the Thai Golf Championship field after scraping through local qualifying. "I came through the qualifiers on Monday and I was already very happy to be given a chance to play with the top stars this week. I surprised even myself to finish so well," said Phachara. It is not the first time that the precocious Phachara has made headlines. In July 2013 he won the ASEAN PGA Tour's Sing Hua Hin Open in Thailand to become the youngest player in history to win a professional tour event. He was just 14 years and two months of age at the time, almost seven months younger than women's golf sensation Lydia Ko when she won the New South Wales Open in 2012, also as a 14-year-old amateur. "I played without much expectations and I guess that was the key to playing so well today," said Phachara after his round. Phachara's $33,300 prize money propelled him up to 65th in the Asian Tour Order of Merit with one event remaining, giving him hope of getting inside the top 63 who will retain their Tour card for 2016. "The season hasn't been great on the Asian Tour actually," said Phachara. "I won once and secured a couple of top-fives on the Asian Development Tour but I haven't been able to perform on the Asian Tour. "Hopefully this result will help me in my final push to secure for my Asian Tour card next week," said the young Thai, who will tee off at the season-ending Philippines Open on Thursday. The Thailand Golf Championship was part of The Open Qualifying Series where four places were offered to the leading four players who have not already qualified for the 2016 Open. Ryder Cup star Jamie Donaldson won the tournament on 21-under 267. 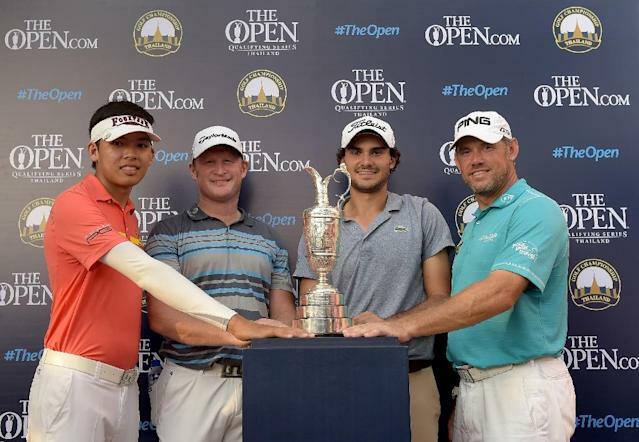 Welshman Donaldson and joint runners-up Lee Westwood of England and Clement Sordet of France secured the other three places in the 2016 Open.